Ugandan Christian University 4th year law student and certified slay queen, Ruth Kyohairwe seems to be living every girl’s dream. Campus Bee can exclusively report that as UCU students are stressed out by course work tests that are currently going on, Kyohairwe ain’t having none of that. 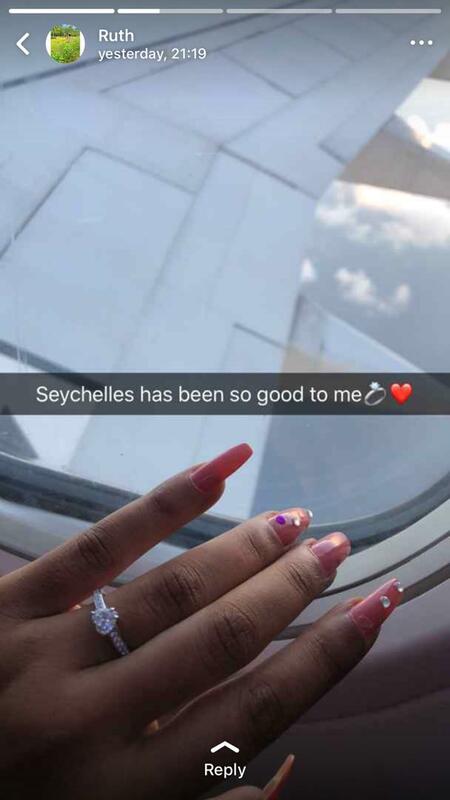 The slay queen has been globetrotting with a yet to be identified zungu blesser and during their recent lavish trip to Seychelles, he put, not just an ordinary ring, but a diamond ring on it…and which girl would say no a loaded zungu lover? 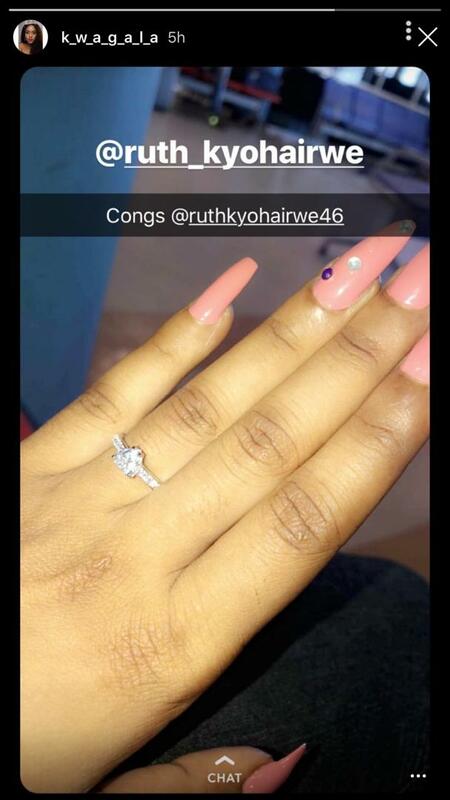 Kyohairwe took to her WhatsApp status to update her friends, haters and exes about her engagement. 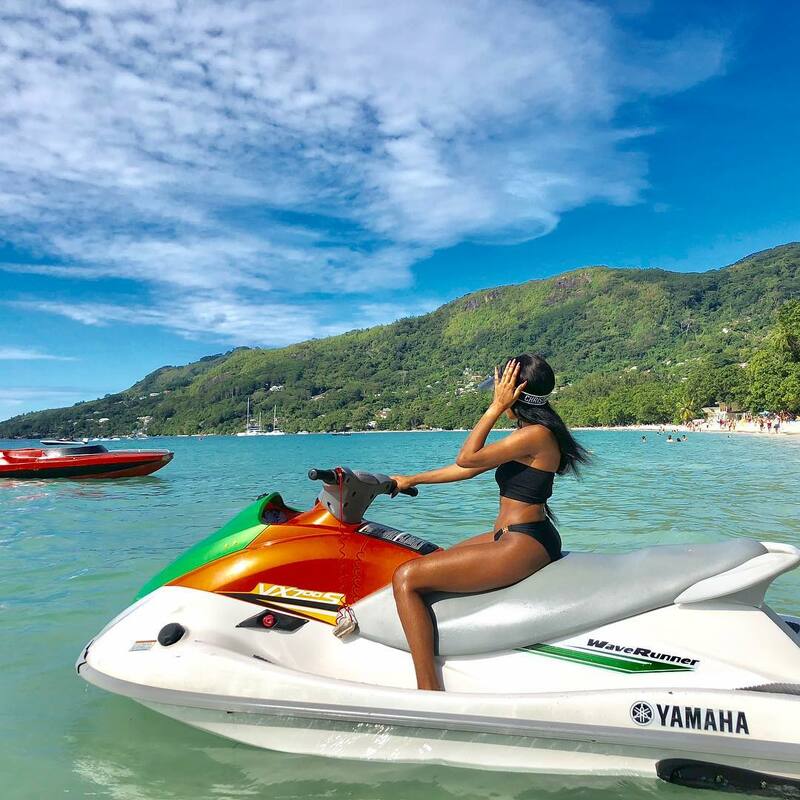 “Seychelles has been good to me,” the derriere slay queen posted. Her fellow Slay Queen, Kim Kwagala, also a law student at UCU took to her Snapchat to congratulate her bestie upon cuffing a white sponsor. According to her classmates and friends, Kyohairwe is a fancy girl. She lives the life of a Hollywood socialite in downtown Campus. Last year, Kyohairwe told Campus Bee that she does her shopping from Paris, France. And apparently she doesn’t mind whatever people say and complain about her lavish lifestyle. The old student of St Mary’s SS Kitende is definitely living the dream life of any girl out there because besides that, she is a model at Ground Breaking Modelling Agency. “I started modelling because I have what it takes. I have the beauty. I have the colour. I have the body and brains,” she told Campus Bee a year ago.